Lords Mobile is a real-time strategy mobile MMO game, you can clash with 90 million global players in the game. And Kingdom vs Kingdom is the heart of the game. It's only available in Kingdoms that are more than 90 days old. 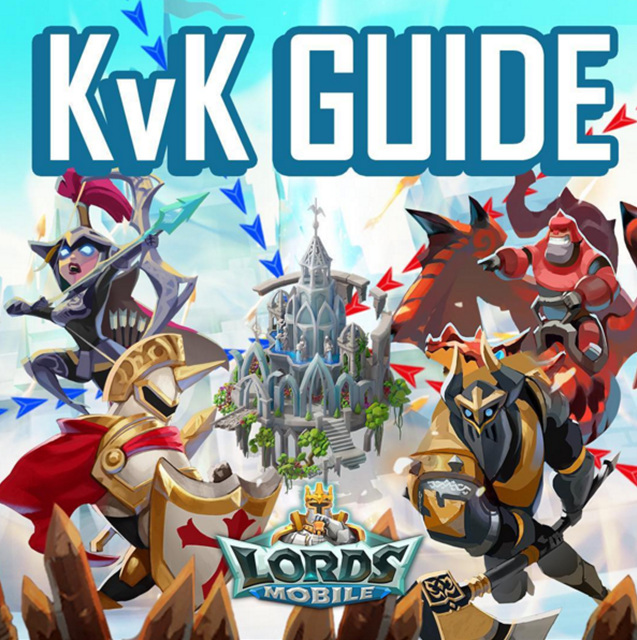 During KvK, all kingdoms will engage in battle, except protected Kingdoms. Here is a kingdom wars strategy written by Wonders, it will help you a lot. And we hope you can leave the comment if you have any suggestions (500 points giveaway). When really is initiated the person who starts the rally will give command what troop composition to send. – Example: 70/30% cav/arch – when you send troops and you can send 200k you must send 140k cav and 60k archers. – Always listen what command is given (important rule power ratio is approximately 10:1 as follows: inf > arch > cav > inf). – In case you don't have enough archers send the only cavalry but less amount of troops f.x 100k cav. Protection information: When you send rally or reinforce rally you cant use shield. Always remember to have 0 rss and 0 troops in the turf. You can shelter/reinforce/fake rally and hide the troops. Read this one more time as it is ESSENTIAL!!! Don't hurry to send troops before the commander of the rally gives order what composition. This is the key-point !!! – Important information about rallies on forts/base. It is better to attack than to defend. So if the fort is attacked with rally wait to see what rally is coming if its full rally turns troops back if its fake rally stay. – Be very careful when your troops are coming back from rallies always be ready to use speed up troops travel speed because the enemy will always try to punish you. Another way to make points is by making good defenses. Garrison: you send your troops to player x1 and when he is hit enemy attacks first your army with your points and then if he wins he attacks the player. – Points from reinforcement rally. If you think you don't have the correct army e.g. Commander says 50/50% – inf/cav and you have 500k archers only please send 1 archer troop so you can earn additional points please do it points matter. Previous Previous post: Lords Mobile Event: Come Spin the Slots of Fortune! Next Next post: Lords Mobile: What are the Rules for the Kingdom Clash?